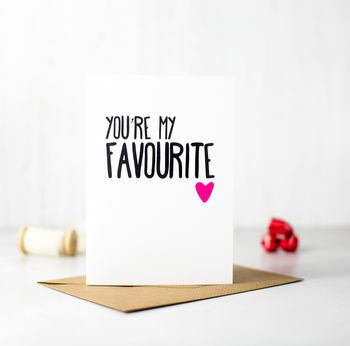 The perfect card for your husband, wife, boyfriend, girlfriend or boyfriend this Valentines Day! Blank inside for your own soppy message! Presented in a clear cellophane bag. Please note the colours you see on your monitor may vary slightly to the printed card. Design and poem copyright Emma Moore all rights reserved. Choice of white, kraft or coloured envelope.